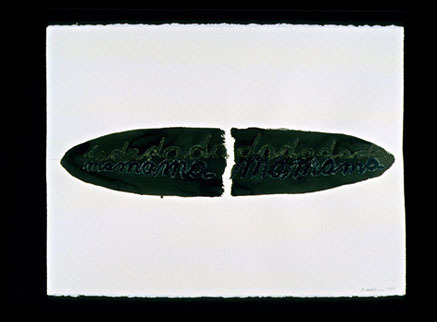 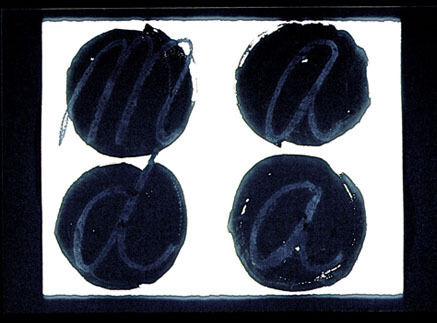 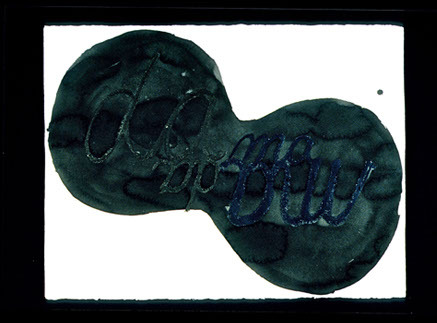 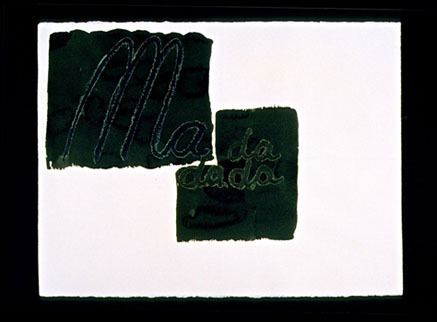 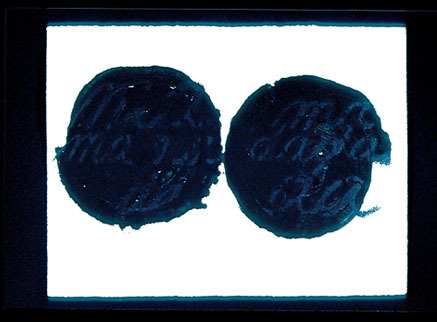 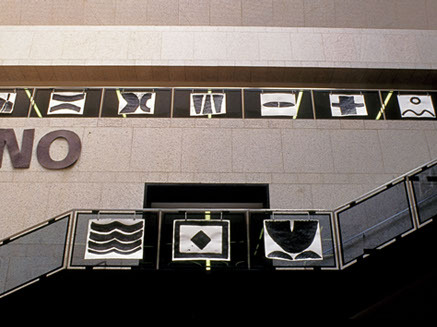 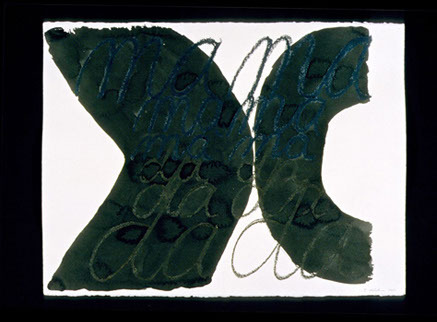 This site-responsive series of 160 modular ink works on paper was created as a site-specific work in an exhibition called The Space of Speech, in the Philip Johnson Wing of the Boston Public Library. 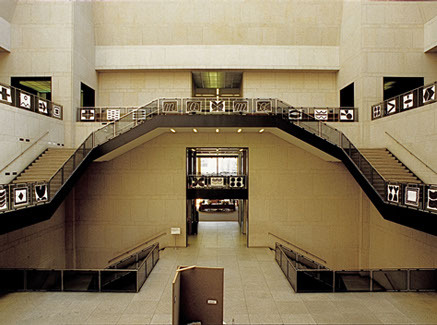 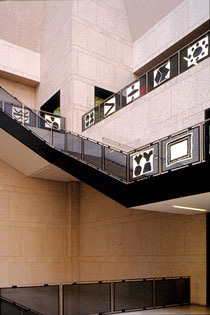 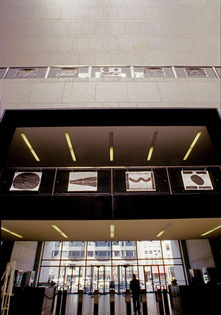 The sheets, hung from string and binder clips, massed together as a temporary frieze in scale with the glass balustrade flanking the stairways that mounted the sixty-foot-high atrium. 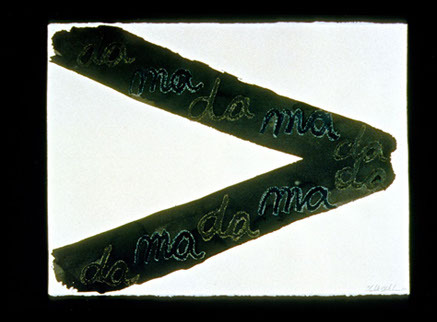 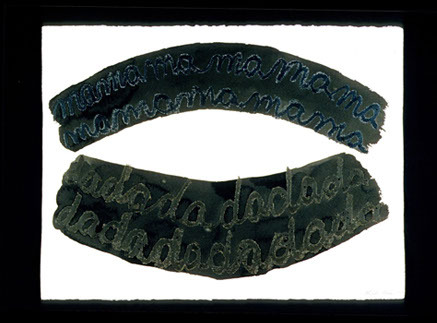 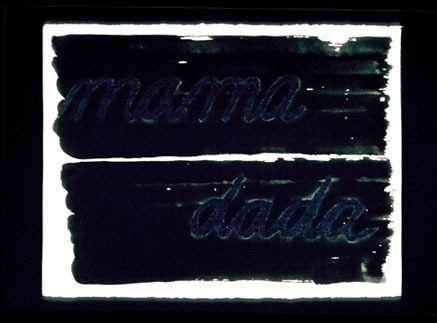 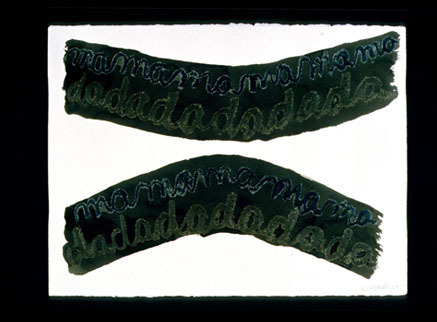 Each ink-blot embedded with the words "mama dada” projected a pre-literate cry out into the adult world of textual sophistication.